This is a technique with which we experimented during our sewing lessons today. It's not for the mess-intolerant, but if you tolerated the PlayDough Stage with your toddlers, you can probably handle this. The girls had so much fun with this that they decided to forego project sewing time in order to continue experimenting. I was hard-pressed to get them to stop even for lunch! 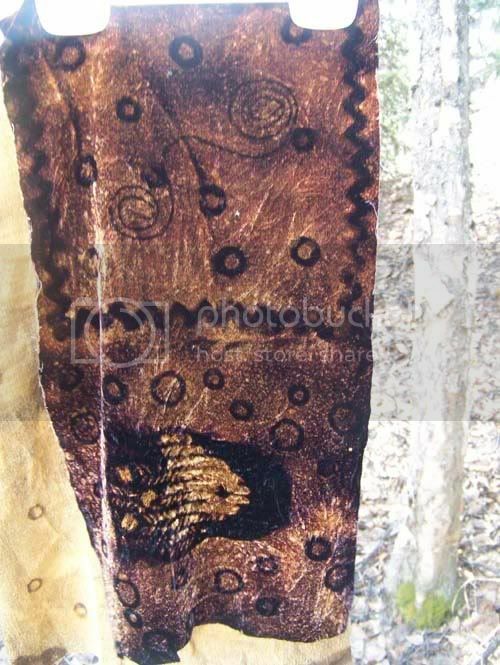 This technique involves removing existing color from a fabric using bleach. 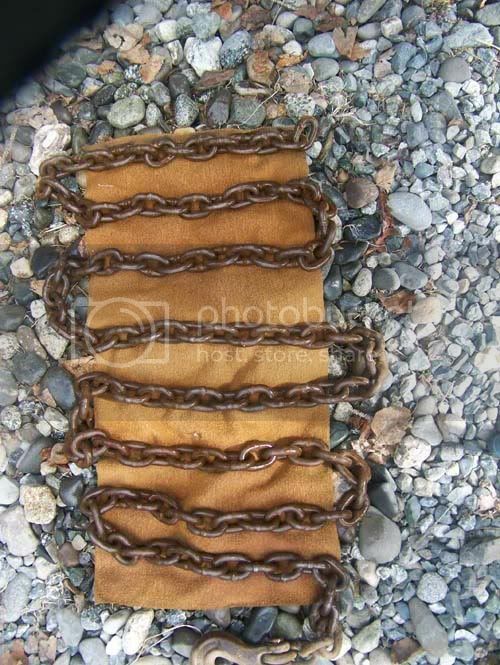 Materials needed include: dark fabric, bleach, vinegar, spray bottle, water, PVC pipe, leaves, ferns, plastic doilies, rubber bands, strings, strong thread, contact paper, rickrack, notebook paper reinforcements, stencils, bits of hardware, coins, etc. You will need to wear protective clothing and gloves. Step 1 – Prepare your solutions. 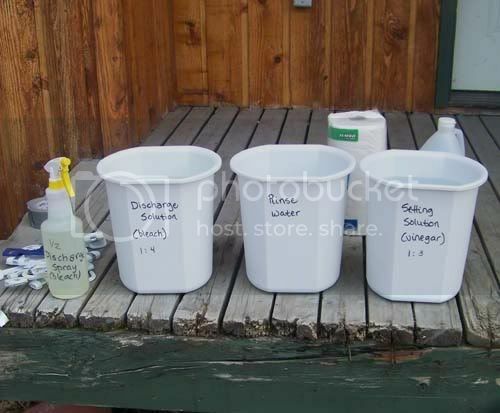 Line up three buckets and mix solutions as follows: Bucket 1: Bleach Solution (1 part bleach to 2 parts water). Bucket 2: Plain, clean water. 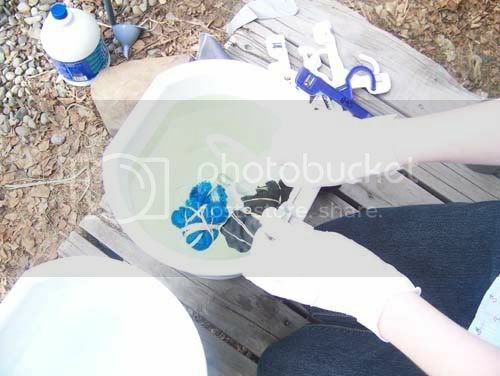 Bucket 3: Vinegar Solution (1 part vinegar to 4 parts water). Mix 1 part bleach to 2 parts water in a spray bottle as well. Be sure all containers are clearly labeled. 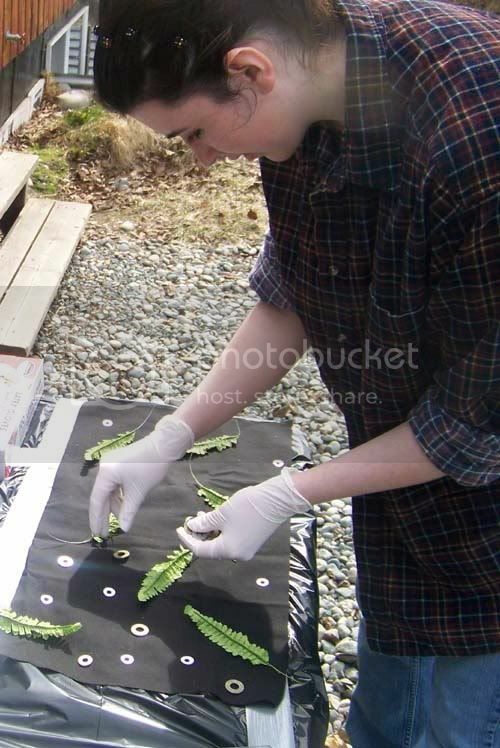 Step 2 – Prepare your working surface. You will need to protect your working surface by laying down a plastic tarp or garbage bags. It's best to do this outside or somewhere with good ventilation. Step 3 – Prepare your design. Decide how you will create your design. You can lay the fabric flat and arrange leaves, doilies, stencil, shapes cut from contact paper or other items on the surface. 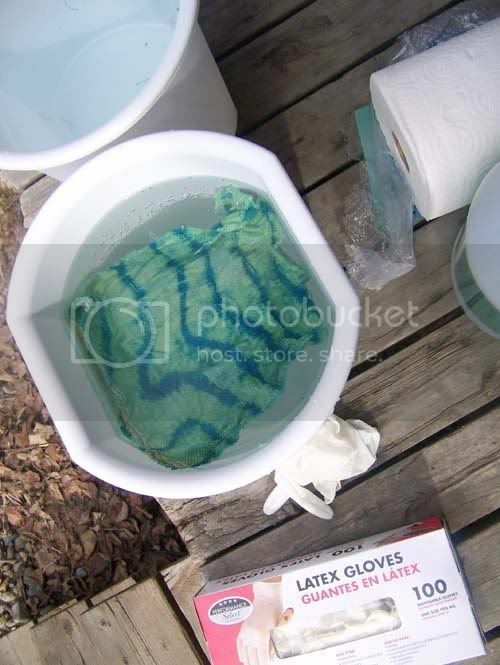 Or you can bundle the fabric with rubber bands as if you were tie-dyeing. Another interesting method is to stuff the fabric in a short length of PVC pipe. 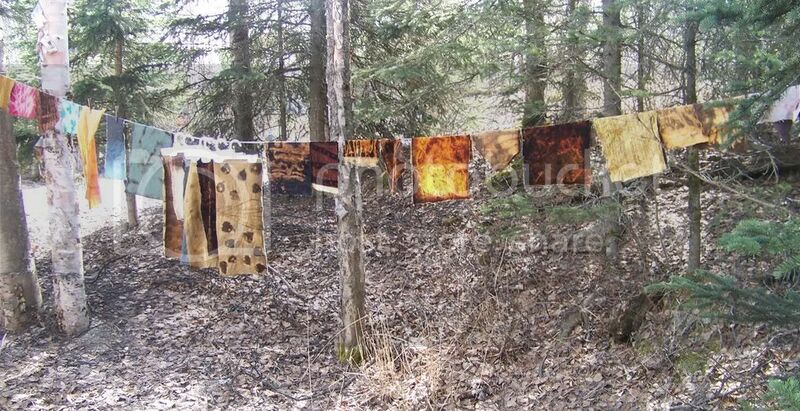 Simply look around your house for a variety of objects that might create interesting textures on fabric. 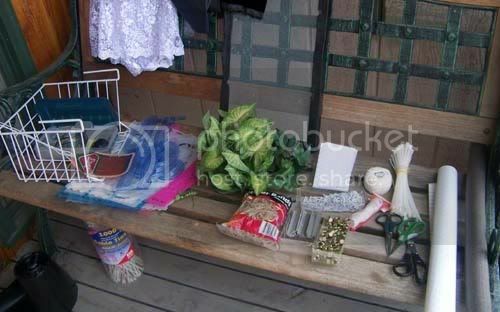 Here are some things I gathered. And here's how one of my students, Sarah, arranged objects for her first attempt. 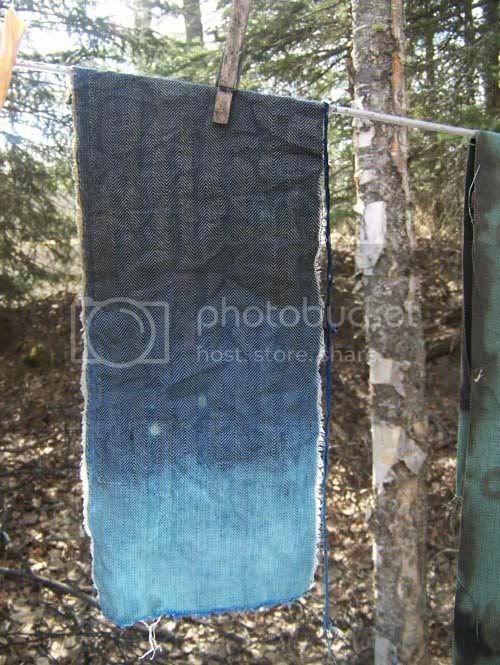 Step 4 – Discharge dye. If your item is to be sprayed, spray the solution around your resist object. How much you spray depends on how much color you wish to remove. Remember that the effect will get more intense the longer the solution remains. If the item is to be dunked, set it into Bleach bucket and check on it every few minutes, removing it once it reached your desired outcome. You can also paint the solution on with a brush if desired, making brushed on designs. Step 5 – Neutralize the discharge solution. 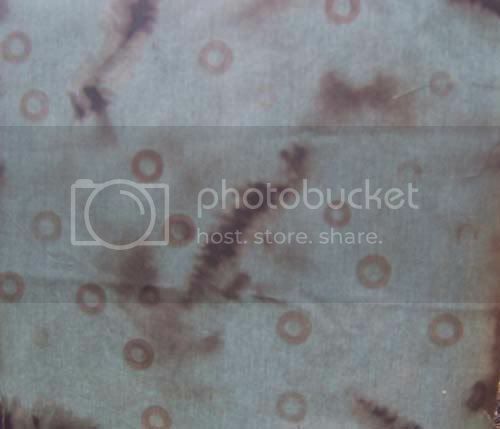 When you have your desired effect, soak your fabric in the Water bucket for a few minutes. Rinse, wring and then soak in the Vinegar bucket. Then rinse again in clear water. Launder as normal. Launder separately to be safe, just in case any discharge solution remains. 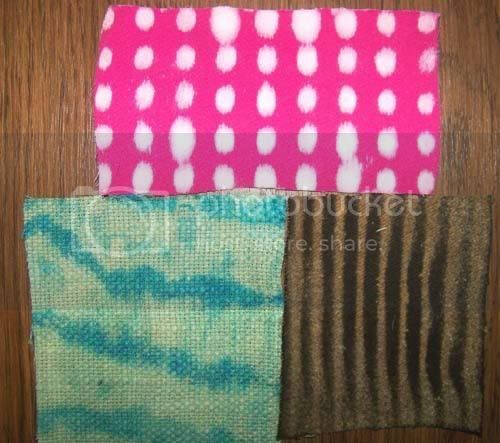 Your fabric can then be used in your chosen project. What a fun project! 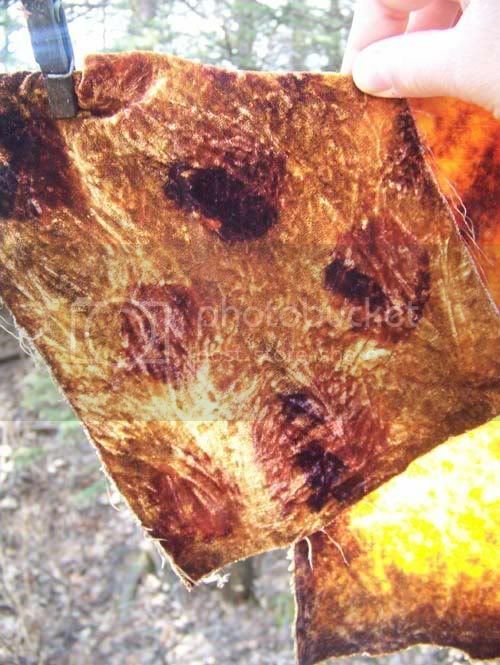 You could definitely make something couture with these techniques. Wonderful tutorial. Your pictures of the process are the best I have seen. I love this technique. Thanks for the detailed information and photos. The post is very helpful!